Artists' Film and Video: An Anthology of New Writing is a forthcoming publication collecting the best new international writing on and about artists' film and video, published by LUX, London and Light Industry, New York. Inspired by Live Art Development Agency's 'Live Art Almanac', 'Artists' Film and Video: An Anthology of New Writing' will collect recent writing on and about international artists' moving image in all of its forms - including but not limited to essays, interviews, reviews, news stories, obituaries, commentaries, artists' writings, manifestos, letters, emails, rants, etc. The publication aims to be non-partisan in its approach, capturing the breadth and diversity of perspectives in this area of practice. We are seeking submissions and recommendations for material now. What have you seen in the last two years (2008-2009) that you feel has captured or reflected on issues and debates which have currency in contemporary artists' film and video? We are primarily looking for writing that has been published or circulated in the past two years, but will consider unpublished/undistributed writing as well. What is important is that the pieces be thoughtful, engaging contributions to discourse in this area. We are interested in things you have read, but also that you have written, the only limit is that texts should be under 5,000 words in length. Although the publication will be in English, we are also interested in texts in translation. The collection will be a text-only print-on-demand book, and it will be sold at cost-price (to cover printing and distribution). We are therefore unable to pay fees for contributions. The goal is ultimately to disseminate information and promote new writing and writers. The selection for Artists' Film and Video: An Anthology of New Writing will be be made jointly by LUX, London and Light Industry, New York, and the book will be published in Summer 2010. If possible, include an electronic version of the text, ideally in Word or other text format. We will seek permissions from authors and publishers prior to publication. Deadline for submissions is 26 February 2010. LUX is pleased to announce the selection of the eight LUX associate artists for its 2009/10 programme. The artists are Paul Abbott, Mark Barker, Erik Blinderman, Lucy Clout, Kim Coleman, Jenny Hogarth, Maria Taniguchi and Cara Tolmie. The LUX Associate Artists Programme (AAP) is a unique 12 month post-academic programme for artists working with the moving image. It aims to provide an intensive course of development focused on critical discourse, extending to the practical and infrastructural issues that present challenges for artists working with the medium through seminars, mentorship and a final funded public project. See www.lux.org.uk/aap for more details. The programme is lead by Ian White, writer, artist and adjunct film curator of Whitechapel and is generously funded by the Leverhulme Trust. The programme is managed and facilitated by LUX, an arts agency which explores ideas around artists' moving image practice through exhibition, distribution, publishing, education and research. This is the third year of the LUX AAP. The second year’s associates (Luke Fowler, Laura Gannon, Duncan Marquiss, Laure Prouvost, Grace Schwindt, Samuel Stevens, Stina Wirfelt and Emma Wolukau-Wanambwa) have just completed the programme and are working towards a final project which will be launched in Spring 2010. 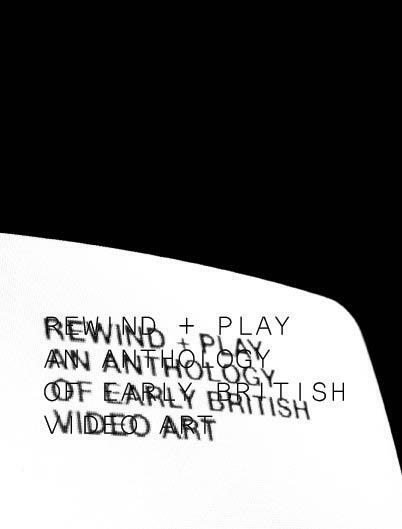 Speakers and mentors on the programme so far have included John Akomfrah, Robert Beavers, Gregg Bordowitz, JJ Charlesworth, Adam Chodzko, Stuart Comer, Adam Curtis, Stephan Dillemuth, Kodwo Eshun, Ryan Gander, Neil Gray, Graham Gussin, Chrissie Iles, Mary Kelly, Mark Leckey, Francis McKee, Daria Martin, Simon Martin, Jan Mot, Laura Mulvey, Rosalind Nashashibi, Uriel Orlow, Maureen Paley, Pawel Pawlikowski, Gail Pickering, Josephine Pryde, Steve Reinke, Polly Staple and Hito Steyerl, Catherine Sullivan, Stephen Sutcliffe and David Toop. Film As A Subversive Art is a new LUX project inspired by Amos Vogel’s 1974 book of the same name. It will be one of four curated exhibitions at this year's new-look Zoo Art Fair (London, 16-19 October), alongside projects by Form Content, Studio Voltaire and Rob Tufnell. Vogel's original book was based on his encyclopaedic knowledge of cinema, gathered during his formative years as the programmer of the Cinema 16 film society in New York. 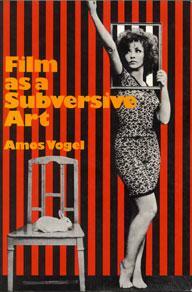 It offers a catalogue of ‘subversive’ film which stretches from the artistic avant-garde to mondo movies. Recently reprinted, the book remains tendentious, exhilarating and – above all – optimistic: as Vogel concluded, “the subject of this book will always remain on the agenda… these pages are but a rough draft; for the subject of this book is human freedom, and its guardians, at all times and under all circumstances, are the subversives.” Taking its cue from Vogel, LUX's Film As A Subversive Art project will examine the contemporary possibilities and limits of filmic subversion. Samuel Stevens, Stina Wirfelt and Emma Wolukau-Wanambwa. seminars, mentorship and a final funded public project. of Whitechapel and generously funded by the Leverhulme Trust. exhibition, distribution, publishing, education and research. Lux, the english non-for-profit organization devoted to the promotion and support of the "moving image" is finally releasing its editions to the public. Up to now, all the releases from Lux have been exclusively for institutional purchase. - Margaret Tait, Selected Films 1952 - 1976. PAL, region free, 38 min., 19.99 £. A selection of works by the great scottish film-poet . The best release of this batch of three in the humble opinion of this editor. This DVD includes the films Portrait of Ga (1952), Aerial (1974), Hugh MacDiarmid: A Portrait (1964), Where I am is Here (1964), Place of Work (1976), Tailpiece (1976) and John Macfadyen (1970). - Paul Bush – Working Directly. PAL, region free, 19.99 £. A compilation of films by this British animator where he works directky scratching the surface of the film. Includes the shorts His Comedy (1994), Still Life with Small Cup (1995), The Albatross (1998) and Secret Love (2002). - Paul Bush – Pixilated. PAL, region free, 19.99 £. In this DVD, Paul Bush makes use of the pixilation technique, developed by McLaren, the stop frame animation of people. Includes the films Furniture Poetry (1999), Dr Jekyll and Mr Hyde (2001), Pas de Deux de Deux (2001) and While Darwin Sleeps (2004). Both Paul Bush DVDs can be acquired together for 35 £.